Stage fright is the elephant in the room for some musicians. For every Jimi Hendrix or Madonna there’s an Andy Partridge or Green Gartside, gifted songwriters for whom live performance never felt like their true calling. 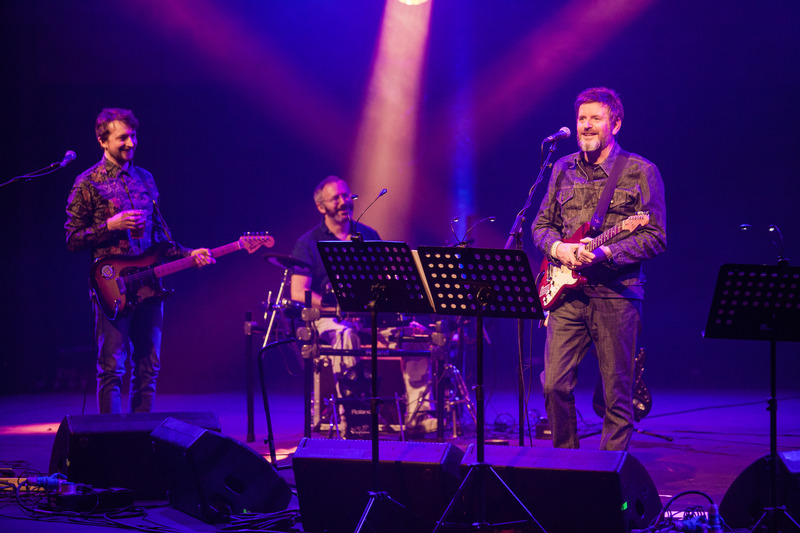 And during the opening moments of this hugely enjoyable – even revelatory – Scritti gig, it all threatened to go a bit Pete Tong before a triumphant turnaround. Despite his extraordinary, instantly recognisable vocals, Gartside has always been somewhat of a reluctant frontman. He started out almost as the default vocalist in a kind of post-punk collective before an extreme onstage panic attack meant that he didn’t play live at all between 1980 and 2006. But during that enforced exile, he built up one of the most sophisticated, revered and interesting songbooks in British pop. As with Partridge, the break from live performing brought out the best in him and produced classic albums Songs To Remember, Cupid & Psyche ’85 and Provision. This relatively rare Scritti gig at the legendary Chalk Farm venue was a celebration of a fascinating career, and Gartside was also committed to explaining (almost) all the whys and wherefores of his craft in often hilariously candid fashion. 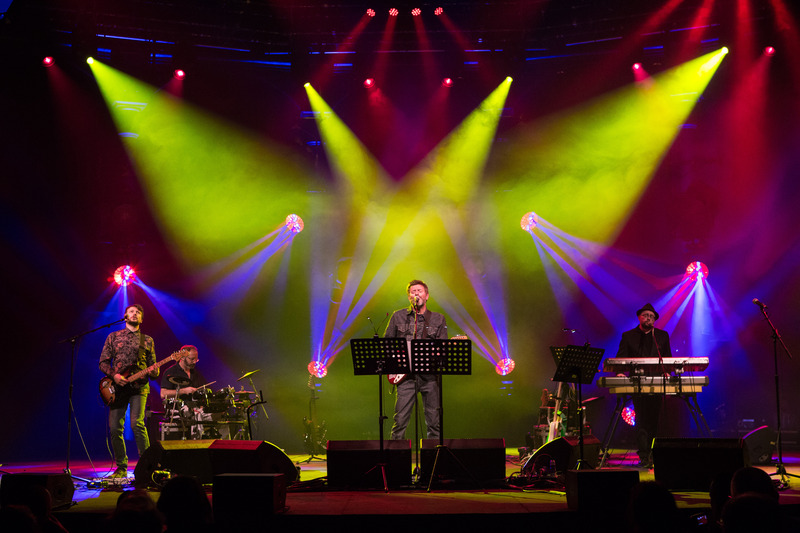 You could forgive a remarkably youthful-looking Green his nerves – The Roundhouse was jam-packed, bathed in subtle lighting and beautifully decked out as an all-seater venue in the round. Just entering the auditorium almost led this writer to give out an audible expletive. But in a way he should have felt right at home – Scritti’s original late-’70s HQ was just around the corner on Carol Street, and Green also revealed that the Young Communist League and men’s group (‘where we would berate ourselves for being men’!) had also been very near the venue. But back to the stage fright. Before even a note had been played, Green had major guitar strap issues, finding himself unable to get the damn instrument on as the crowd applauded sympathetically. ‘Oh, sh*t… This is why I didn’t play live for 20 years’, he sighed, looking genuinely troubled. ‘The Sweetest Girl’ finally got things underway, the delicious 1981 single described by Gartside as being his attempt to fuse Kraftwerk and Gregory Isaacs. He revealed that he had even approached those two to collaborate on the song; when he didn’t hear back from the German techno innovators, he subsequently bumped into their co-founder Florian at a Tito Puente gig (of all things), only to be told by the titular German: ‘I hate reggae’! Gartside indulged in some spirited rapping during ‘Die Alone’ while ‘The Word Girl’ sounded simply fantastic, causing outbreaks of groovy dancing from the very diverse crowd. Green revealed that the original vocal may have been influenced by looking out of the studio window and seeing a sheep up to its neck in snow during the song’s recording in 1984. A spine-tingling ‘Boom Boom Bap’ was described as an ode to ‘beer and hip-hop’, while the delicious ‘Brushed With Oil, Dusted With Powder’ pushed its claim as the greatest ever Green composition, apparently written on one of Joni Mitchell’s guitars given to him by legendary manager Peter Asher. Green also described how the song was ‘started in an LA hotel and finished in a flat above a dentist in Newport, Gwent’. The raw, spiky ‘Skank Bloc Bologna’ and ’28/8/78′ (with spoken-word additions from Radio 4’s Harriet Cass) sounded like they could have been recorded yesterday, while the live premiere of ‘Asylums In Jerusalem’ was perfect. A delicious ‘Oh Patti’ also got its live premiere, and ‘Jacques Derrida’ reiterated how similar Scritti and Prefab Sprout’s soundworlds were in the early ’80s, though Green ended it with a passionate rendition of Jeru The Damaja’s ‘Come Clean’. The closing duo of ‘Wood Beez’ and ‘Absolute’ prompted a further outbreak of dancing in the aisles, perfect slices of digital funk with fine keyboards from Rhodri Marsden. Minor quibbles: onstage sound issues gave Gartside some serious pitching problems, though typically he was completely candid about this, describing his performance as ‘artfully inept’. But there was never any doubt about how seriously he took his craft: announcing that the band was about to play a medley of unfinished new songs, a man in the front row let out a giggle, prompting Green to pointedly remark: ‘This is very f***ing serious, sir.’ At times, the band sounded brittle (though they would remain anonymous, there being no onstage introduction from Green), even though roughly 30 percent of the output seemed to be coming from backing tapes. But it really didn’t matter – you couldn’t take your eyes off the stage. 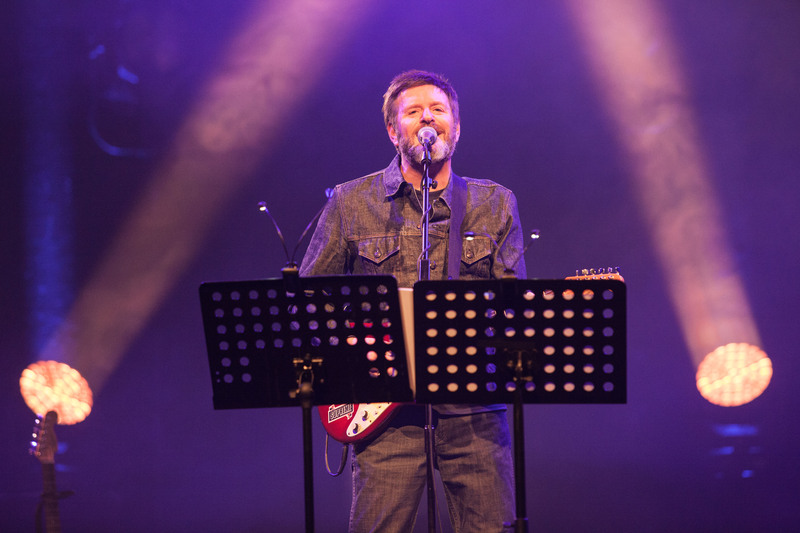 There’s simply no one else like Green Gartside in British music: a 60-year-old man fusing hip-hop, reggae, bubblegum pop, low-fi post-punk and superior synth-funk, and pulling it all together with great aplomb. This superbly shambolic gig very much whets the appetite for an upcoming album on Rough Trade. This entry was posted in Live Reviews, Pop, Scritti Politti and tagged andypartridge, greengartside, roughtrade, scrittipolitti. Bookmark the permalink. I love this album a little less than Human Racing but it is part of a classic 80’s education. Check out his “No frills – acoustic” album for an update on his excellent song writing. And a Dancing Girls waltz….